. Pally Palette: Building on our experiments. On my most recent trip to Europe I spent a week in London and whilst there I visited the TATE Modern. 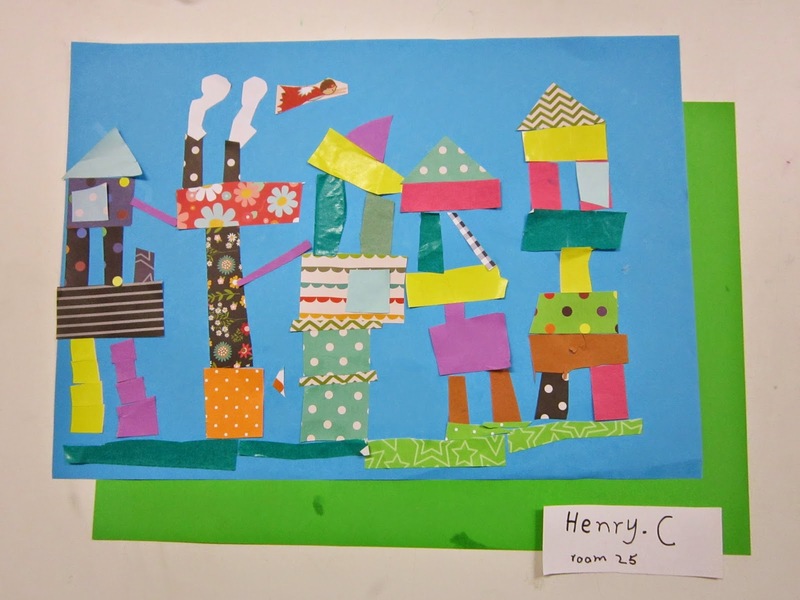 An afternoon strolling around the Paul Klee exhibition inspired some ideas for lessons this term. 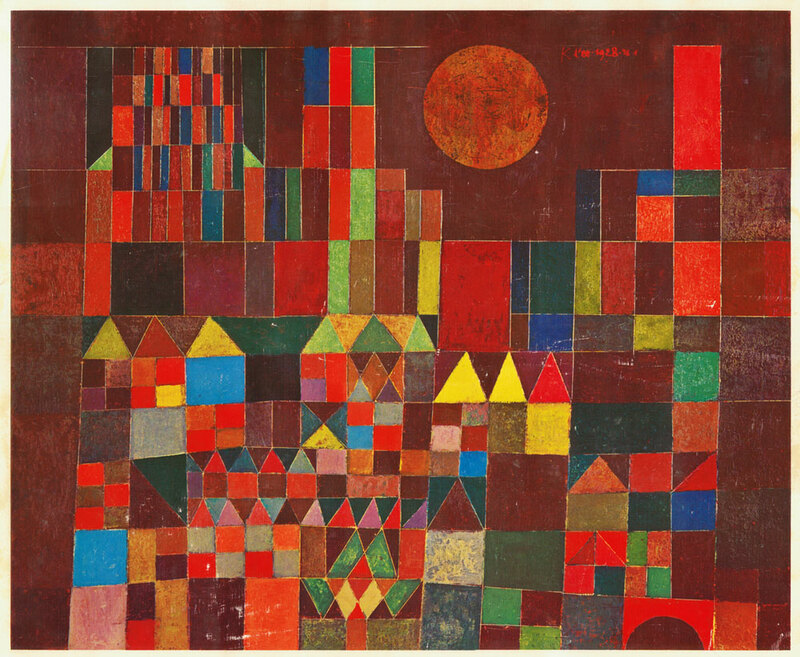 The year threes however have looked at a different style of work by Paul Klee where colour and shape is the focus. They started by discussing the painting to identify the types of shapes they could see. 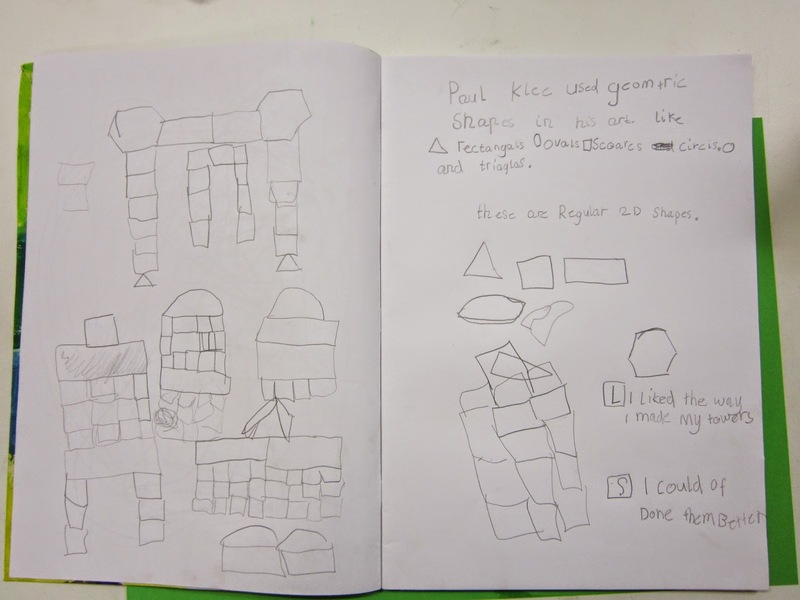 This was a great opportunity to link maths and art using the terms to describe the geometric shapes or regular shapes that Klee uses in his art works of this type. We compared them to organic or irregular shapes and recorded this information in their visual diaries. Then came time to play with some 2D maths shapes to construct and record as many different building shapes usiing the simple squares, rectangles and triangles. 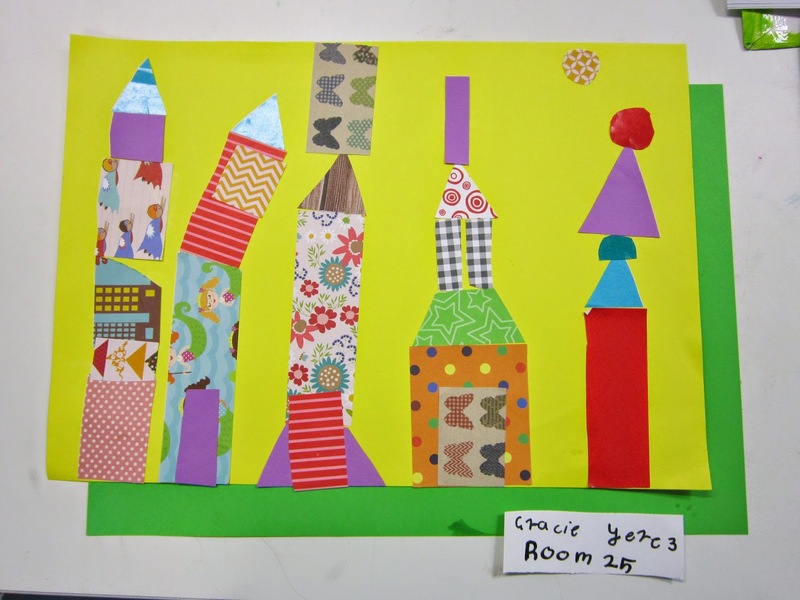 These ideas were then used to create a colourful collage of buildings on a coloured ground. They finished by making a quick two sentence reflection on their work in their visual diaries.